Alden is, of course the premiere purveyor of cordovan shoes in the world, and but their suede shoes rival those of any shoemaker in the world. 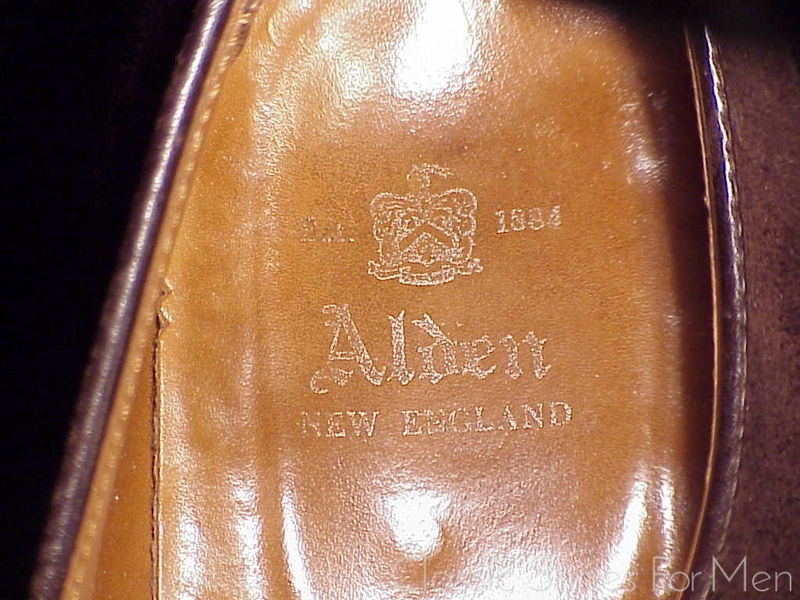 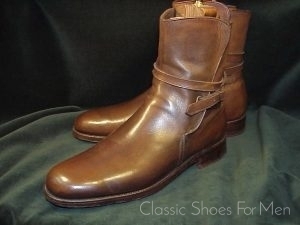 Both the shape of the last and the rather more discrete strap and buckle proclaim the brand and, to my eye, make Alden’s the most elegant monks overall, whether is suede, here, or in smooth leathers, shown elsewhere in the website. 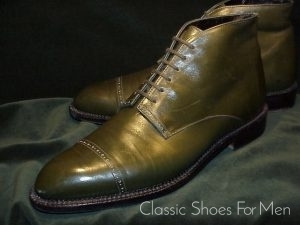 For a suede monk fan, there is no more desirable version of this classic. 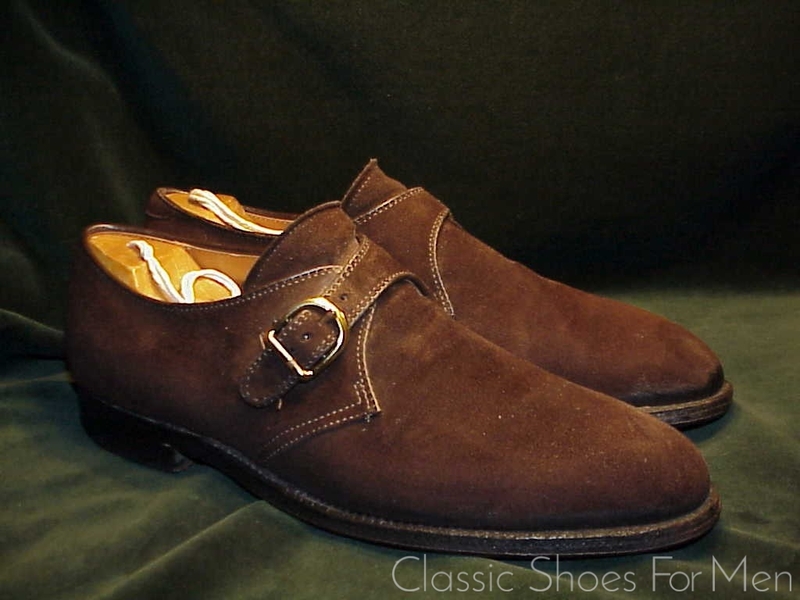 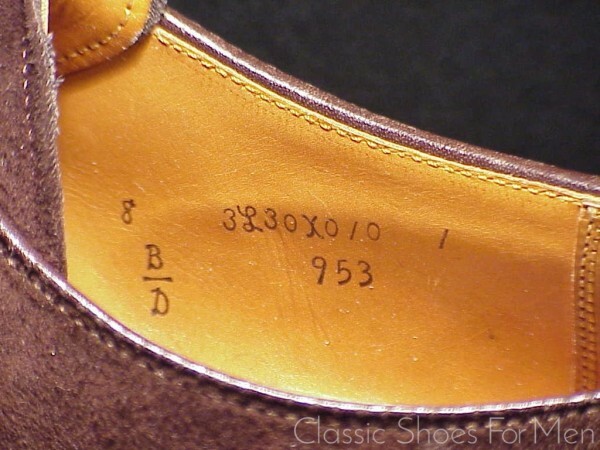 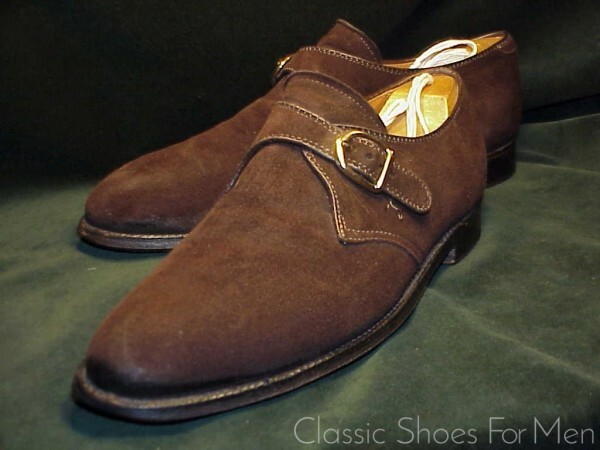 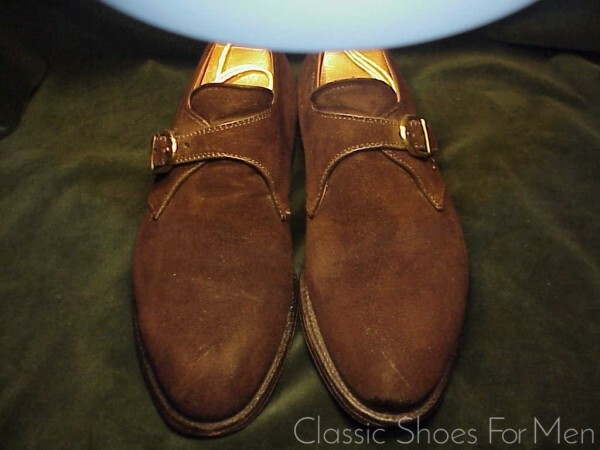 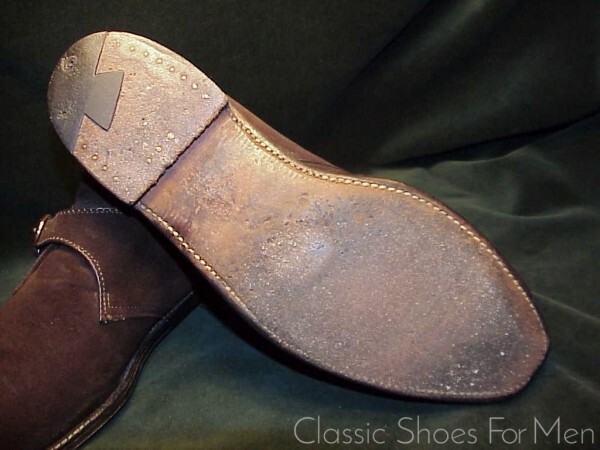 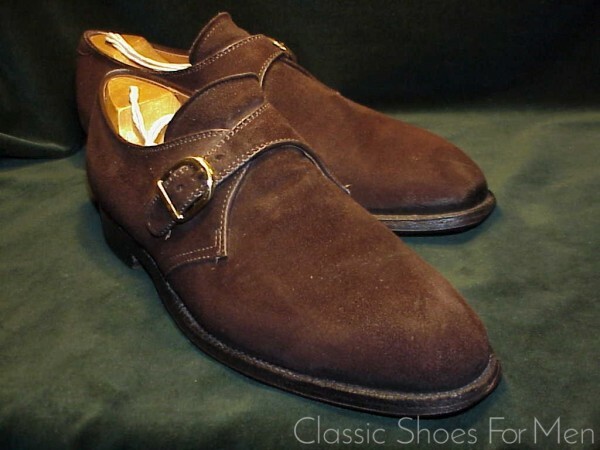 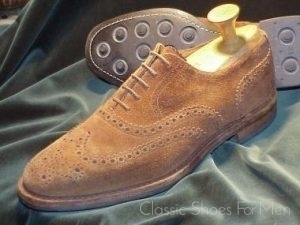 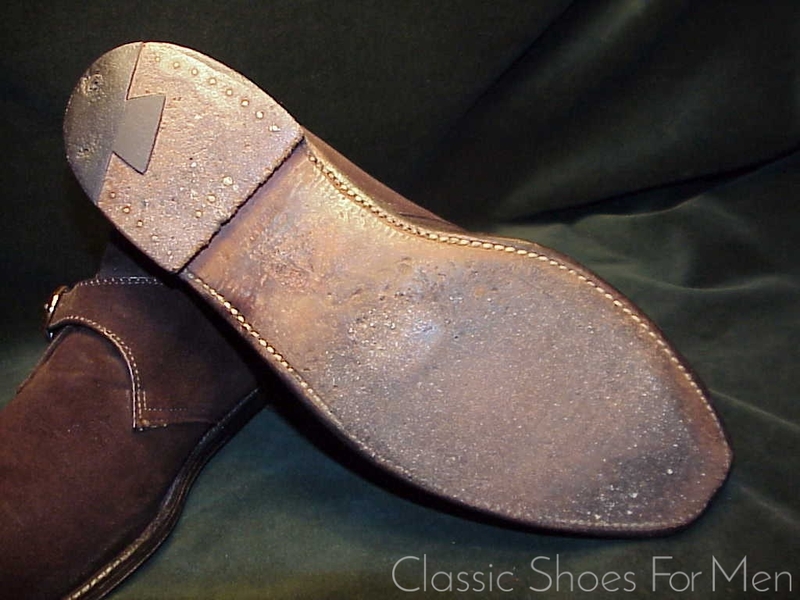 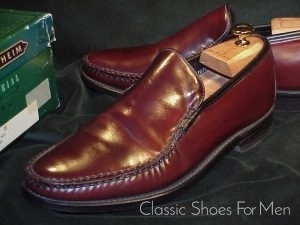 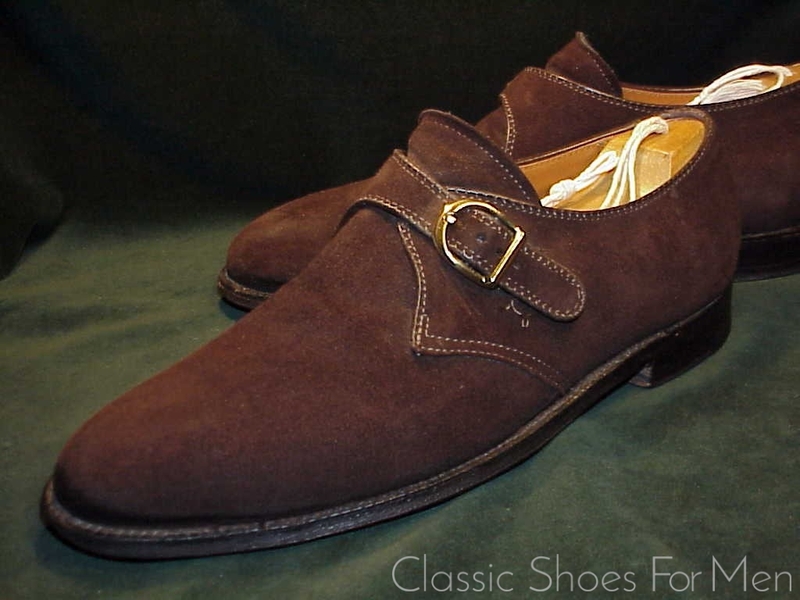 Monk Straps are very much in the English taste, an aristocrat’s shoe from the old school, but have penetrated the consciousness of Continentals and North Americans over the years. 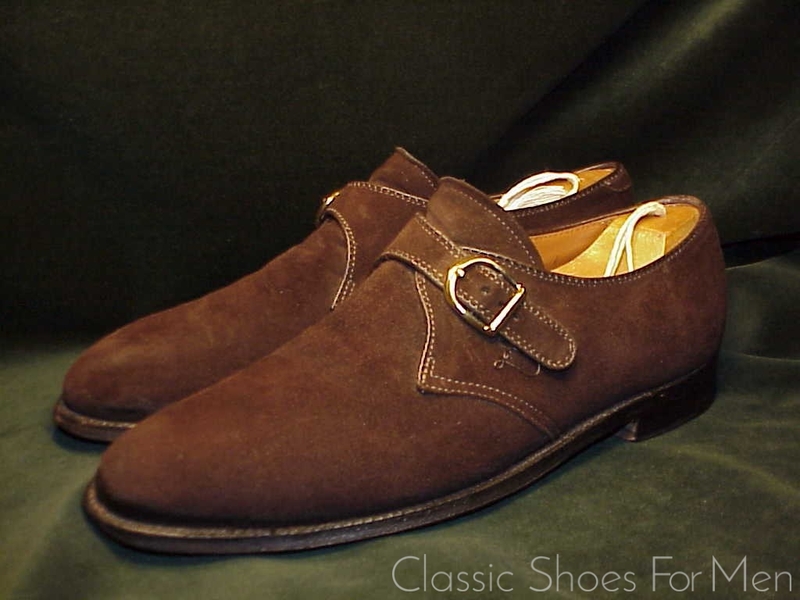 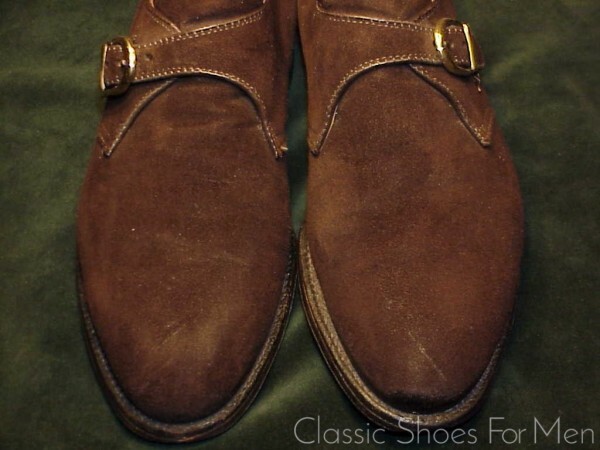 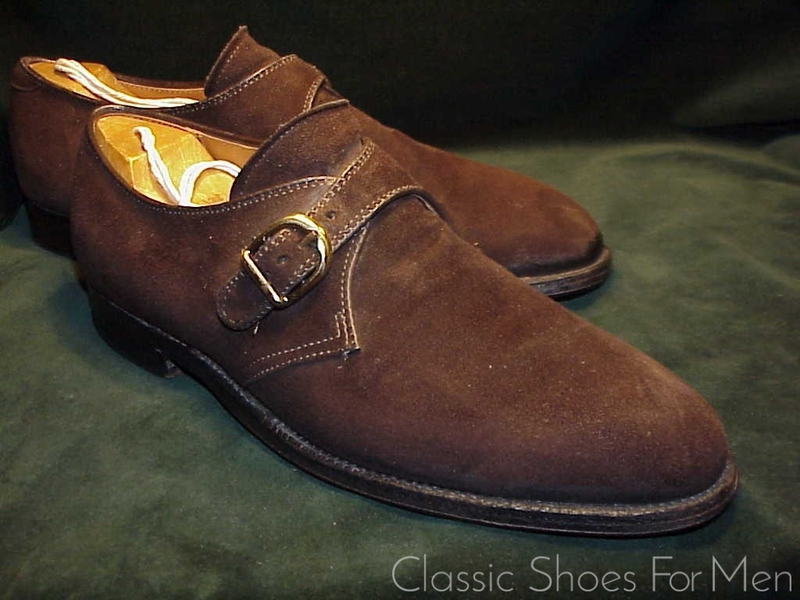 I myself am a great fan of the Monk and have a pair for myself in more or less every configuration, including calf skin, cordovan, and this not-to-be-neglected Suede Monk. 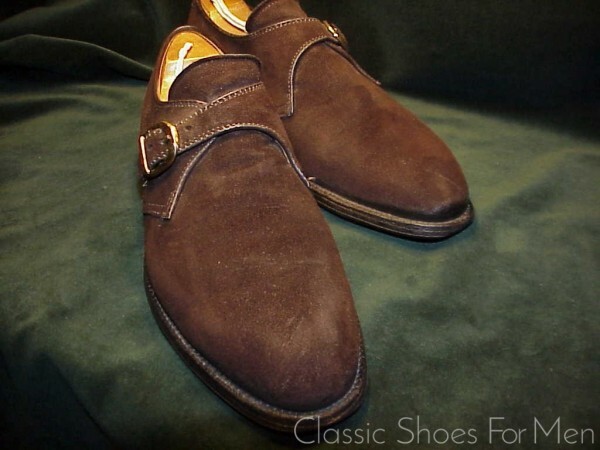 Most Monks are plain fronted, affording an elegant, streamlined look suitable for all but the most formal dress, and, punctuated with a discreet buckle, they proclaim the impeccable taste of the wearer. A well used but serviceable example. Dies ist einer der grossartigsten Modelle der Firma Alden. 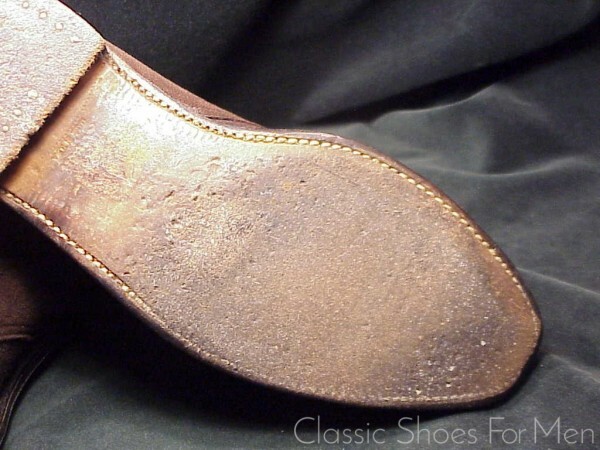 Dieser Schuh ist ganz gewiss ein Klassiker, der in einer grossen Tradition steht. 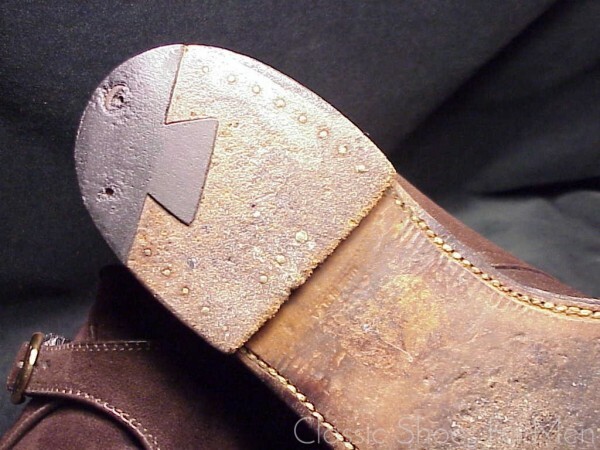 Ein jedes Stück Leder ist unterschiedlich und auf alle Fälle ist dies ein ausgenommen schönes Stück Wildleder.